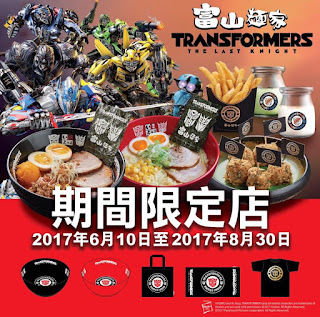 I've made my love for ramen known here before, so when I randomly decided to enter Transformers and ramen into a search at the same time... I had no clue this would pop up (I was hoping for neat licensed instant lunch cups). This news completely passed me by last year when The Last Knight was in theaters (sadly, because this is the kind of thing I go crazy over). 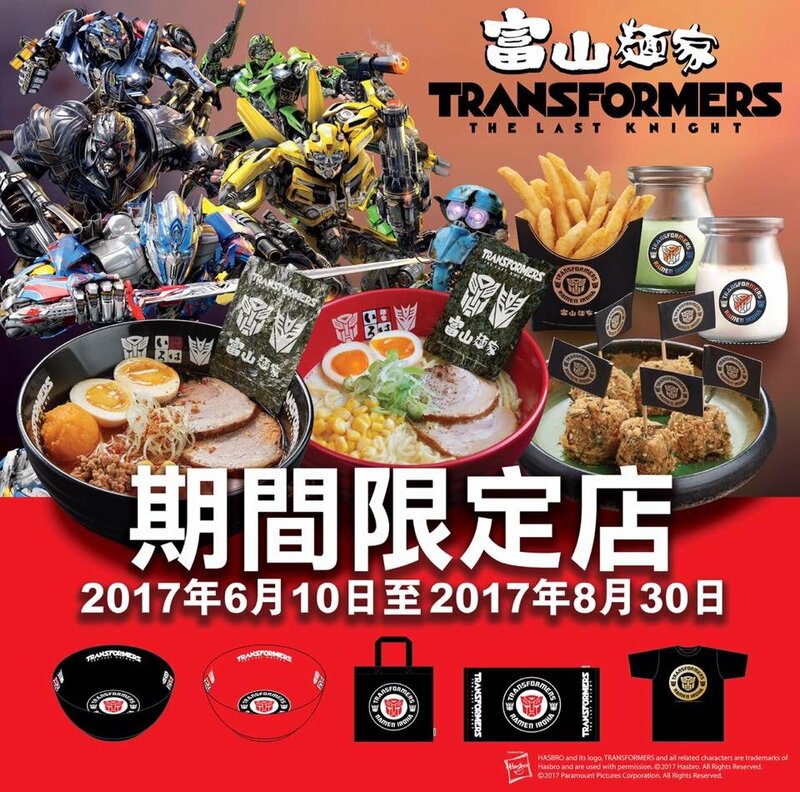 Apparently a ramen restaurant in Hong Kong called Ramen Iroha had a promotion for The Last Night featuring Transformers theming all over their restaurant. I found this video and this TFW2005 post showcasing the promotion and the sadness I'm feeling over missing out on this is absolutely ridiculous. Completely ludicrous. For starters, I live in Georgia. There isn't a Ramen Iroha here. We had that rad Sonic promotion (sadly, doesn't seem like anything for Bumblebee), but this puts those excellent slush cups to shame. I would love to get some of that neat stuff they were selling with the logos on it. Sure, I can grab a set of chopsticks easily, but I'd stockpile Transformers branded ones. I've found myself recently wondering what kind of cool set up could feature Transformers somewhere like Gatlinburg or Myrtle Beach. Somewhere that's a touristy place that would make sense. There's that neat Simpsons attraction at Myrtle Beach that makes me wonder if a Transformers themed similar thing would be a hit. Some sort of attraction like a museum or a 4D movie, a store, maybe a cool restaurant. Maybe have some of the SEGA arcade games set up. I'm sure it's be great. Good lord I'm practically in tears just looking at the menu. Forget MP44, THIS IS SPECIFICALLY MY JAM.